Social Media – we all know we should be on it but how do you stand out from the ​crowd? To help you maximise your social media, here are seven steps to help you connect and engage with your audience (your target market) and build a social media following that delivers more than just likes. Here’s the video summary or read on for more detail. As always – start with Why. To help you answer that – it’s probably because your market is playing there. So, when you look at the numbers, chances are your customers are using social media somewhere. And you should be playing where your customers are playing (more on that here). So how do you find out where your market is playing? When building your social media marketing strategy, understanding who your target market (your target audience) is an important aspect. It’s really about finding out what your audience’s preferences are. looking at where your competitors are active on social media. If they are on Instagram rather than Facebook, chances are that is because your target audience is more active on Instagram. most social media platforms, these days, offer polling options. You could conduct a poll on each of the different platforms asking people about their social media preferences for connecting with your business or industry. Take into account the results may be skewed to the platform that the participants complete the poll on – however if you get a higher number of responses on your Facebook poll than on your Instagram poll, that’s an indication more of your target audience is on Facebook. Similar to using the polling option – you could ask people for their opinions on the different social media platforms you are thinking of focusing on. And you could ask them how they use that platform. Understanding where your audience plays will help you build your social media strategy (Step 5). While you can play on all the social media platforms, you actually don’t need to be active on all of them. Everyone is time poor (even those with amazing time management skills). This alone is one reason why playing where your audience plays is important. You aren’t wasting time creating content for people who are not going to engage with it. Another and probably more important reason is that you want to get the best return on your investment from your social media marketing strategy. If you think you’ll get more results from Facebook and Instagram than from LinkedIn and Twitter then you should focus your campaigns on Facebook and Instagram. And really, if you have done your research (Step 2) you should be confident about choosing the right platform – or platforms. Once you understand where your audience plays and have decided the social media platforms you are going to focus on, then you can create, what we marketers call, customer personas. A customer persona includes your ideal customer’s demographics and psychographics. Creating your customer persona will help you have a detailed understanding of your target audience. This, in turn, means you can build your marketing strategy to meet their expectations and preferences. And that means they are more likely to connect and engage with your business and you have a higher chance of building a loyal customer base. Now that you know who your audience is and where they are playing, it’s really important to know what you want to achieve with your social media marketing campaign. Social media is so much more than gaining likes! Be clear about what is who your market is, what is important to them, why you are using social media as part of your strategy and what you want to achieve. Set clear goals that you can measure so you know you’re whether you’re kicking your social media goals. So you know why you need to be on social media, you know who your audience is, where they play and you have your social media marketing strategy. Now you need to plan and create your content. The easiest way to plan your content is to use a social media calendar. This can be as simple as using a calendar spreadsheet and populating your planned post – topic, theme, platform etc. Creating your content can be more challenging. You need to make sure your tone, imagery etc aligns to your brand position. It can be time-consuming. If you are not comfortable creating your own content, there are plenty of marketers who do this every day of the week as a paid service (shameless self-plug – me for instance). Think about the time it takes you to create content. 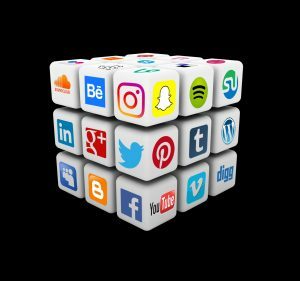 Would you be better spending your time on the core aspect of your business – perhaps you might be better off outsourcing your social media content creation. The great thing about social media is that you can easily measure your results. Most of them have built-in analytics, so you have instant access to how your social media is performing. In its simplest format, you can see whether the number of followers of your page is increasing and at what rate. You can measure the level of engagement of your audience – are they really interested in what you are sharing. You can measure referrals, click-throughs and shares. You can see where your engaged audience is located and at what time they are most active. The list goes on. There are so many metrics available, the important thing is to focus on the measurements that align with your marketing strategy goals. If your goal is to drive traffic to your website, then they are the metrics that you should be looking at rather than how many likes you may get. There are lots of great social media marketing management and analytics tools available out there. These can help you schedule your posts, tools to track engagement and (importantly) measure your return on investment (ROI). 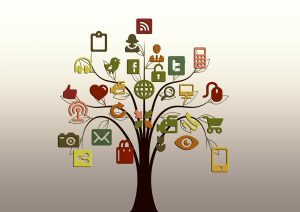 Some examples are Hootsuite, Buffer, Social Clout, MeetEdgar, Sprout Social, to name a few. Research them (a lot have a free option) and find out what works best for you. Get out there, understand your market, build your strategy, jump onto your chosen platform/s, post, post, post and measure, measure, measure! And enjoy all the new connections, engagement and business that social media can bring.